This is the final part of our Pentomino Week. 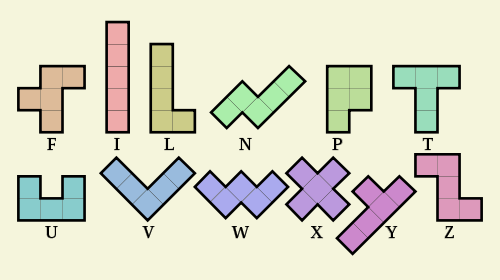 It is said that every pentomino can tile the plane, meaning that we can do so with no overlaps or gaps – as a counter-example, a regular pentagon cannot tile the plane without gaps. However, because the plane is considered infinite, such a tiling does not take into account whether the boundary of the tiling is rectangular or ‘crinkly’. 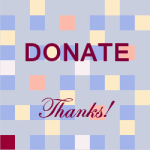 A harder problem is to establish the conditions whereby the pentominoes can tile various rectangles. 1. 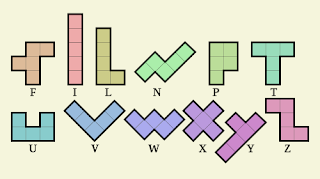 Consider the L pentominoes, that is L and L’ together with their rotations. a) For which n ϵ N is it possible to tile a 5 × n rectangle (to cover it without overlaps and without gaps)? b) Find all m, n ϵ N for which one can tile an m × n rectangle. c) In general, given positive integers m and n, what is the maximal number of L pentominoes that can be placed into an m × n rectangle along grid lines and without overlap? The above question has been adapted from the International Tournament of Young Mathematicians 2013. The simpler parts of the original question have been covered here, here and here. It is not a quick question and, remember, that the ITYM questions may well have no known general solutions! How far you can get into it is the important thing.